I’ve always loved toques, but I have shied away from decorative ones. 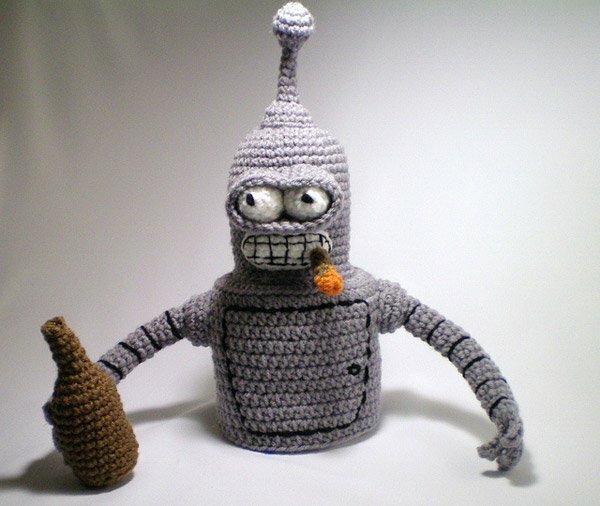 Check out this Bender toque that was crocheted by hand by Cheewawamomma! You have to admit that Bender is one of the most likable robots on TV, given his sunny disposition. 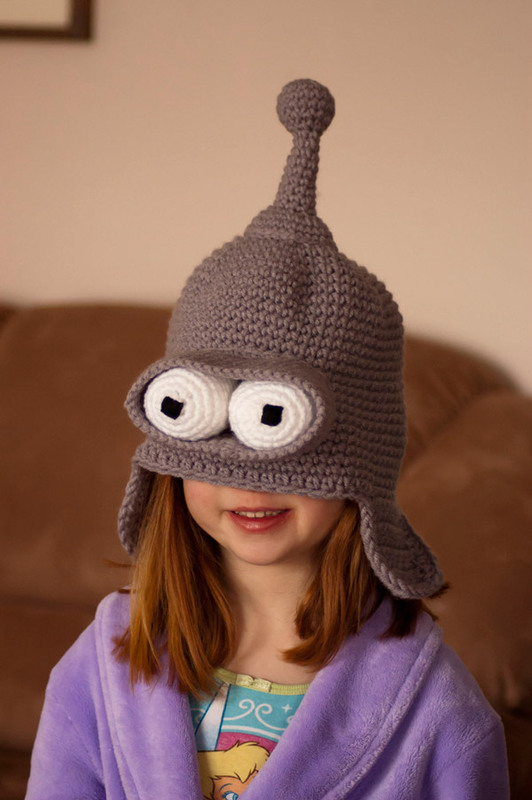 Although I’m not sure if the kid wearing the toque should be having her mind corrupted by watching Futurama yet, adults sure can enjoy it. I guess that’s why the hat is covering up her eyes and ears. While these items were gifts for Cheewawamomma’s friends and family, you can probably order some custom-designed toques and toilet paper cozies over at her Etsy shop.